Personalised hen party badges for all your hens at the hen party. Use these graceful badges as individual name badges. Choose your bride's name for around the edges of the badge and the guest name for the center. 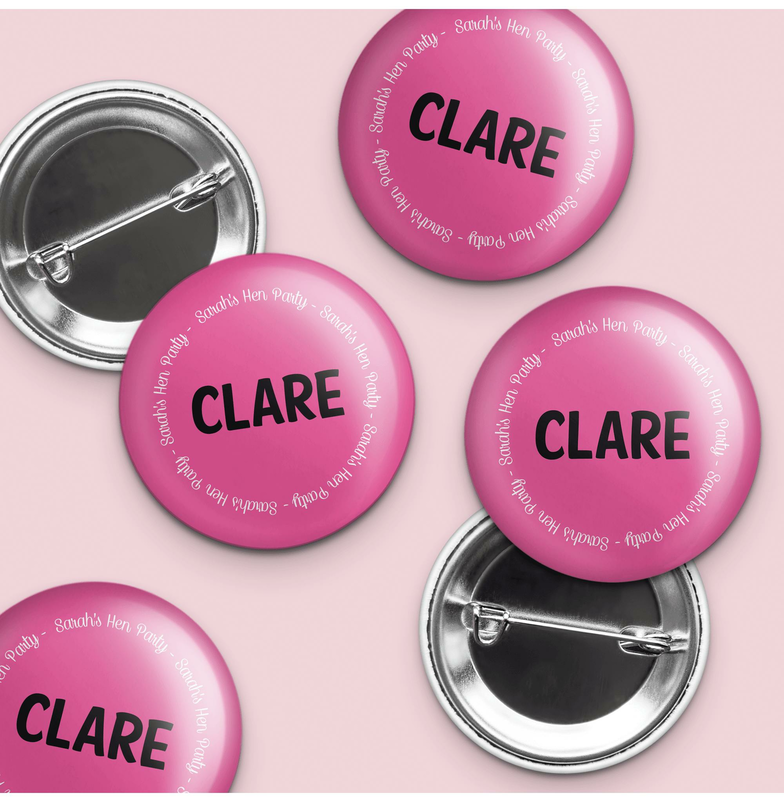 These alluring personalised hen badges bring your hen party together and enhance their fun as they can easily get to know each other by name. Showing our 2 Hen Party Superstore Personalised Hot Pink Hen Party Name Badge reviews with an average rating of Excellent. Would you like to write a review? I ordered 17 of these badges & they were perfect! We had funny names put on & they looked great. I used express delivery as I was short on time and they came as stated. Review - Thank you for such an excellent service - the badges went down a treat very useful for knowing everyone's name. Thank you for such an excellent service - the badges went down a treat, very useful for knowing everyone's name.